Unique blue-and-white flowers - can stay outside all year with no protection! A unique variety whose flowers have a deep blue base that shades to bright white at the tips. Deciduous. Hardy to -15°C. Flowers June/July-September. Height 50-60cm (20-24"). Supplied in 9cm pots. A real eye-catcher and handsome border plant, the agapanthus isn't as exotic as the appearance may first suggest! Sun-loving, hardy and actually enjoys being neglected - sounds a little crazy, right? 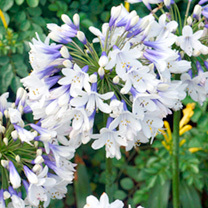 'Twister' is our pick of the agapanthus tribe, with its icy blue and white flower crowns. 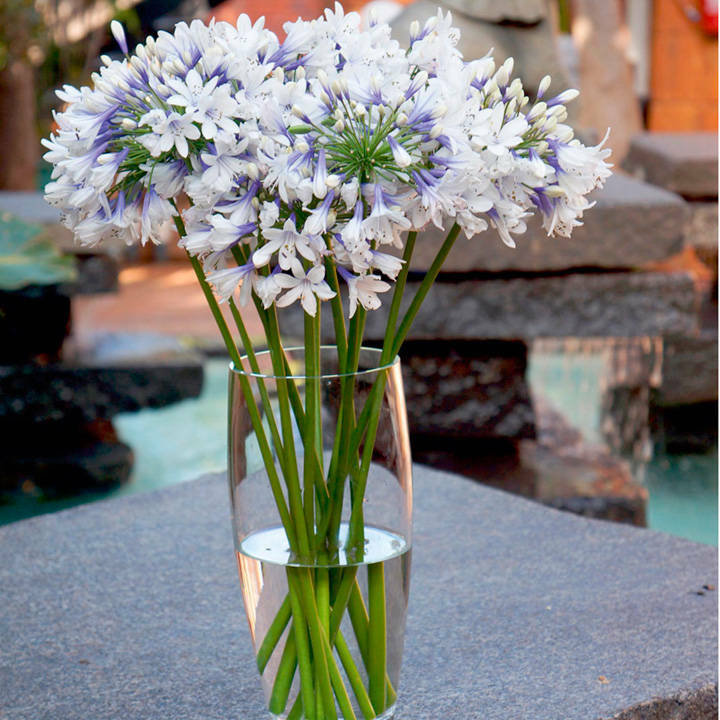 Clear the way for an African Lily parade in your garden this summer. Plants can stay outside all year with no protection!